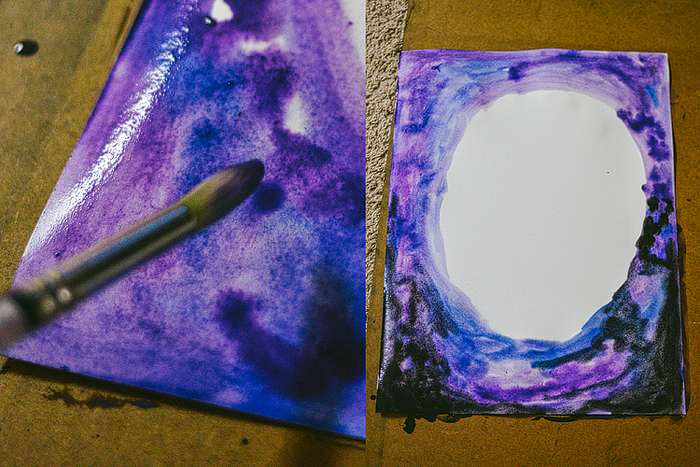 This isn't really a traditional matte, but I often use large pieces of paper to matte photos and artwork. I recently became obsessed with lettering, [by recently, I mean Tuesday] and I decided to make this larger lettered piece for an art show this fall. 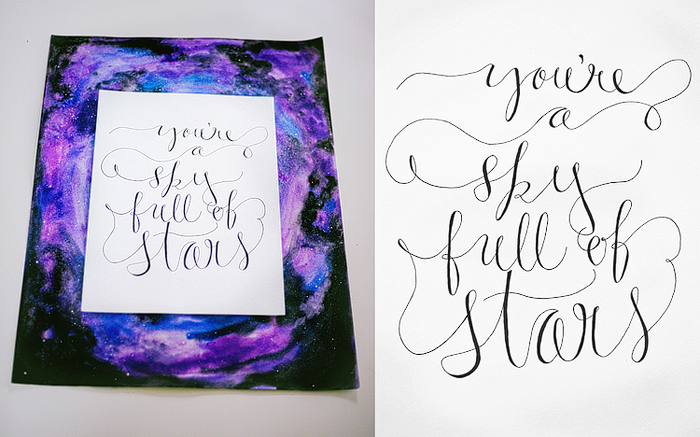 I was planning on painting the paper where I did the lettering, but I was too scared! I decided to make a painted matte instead. 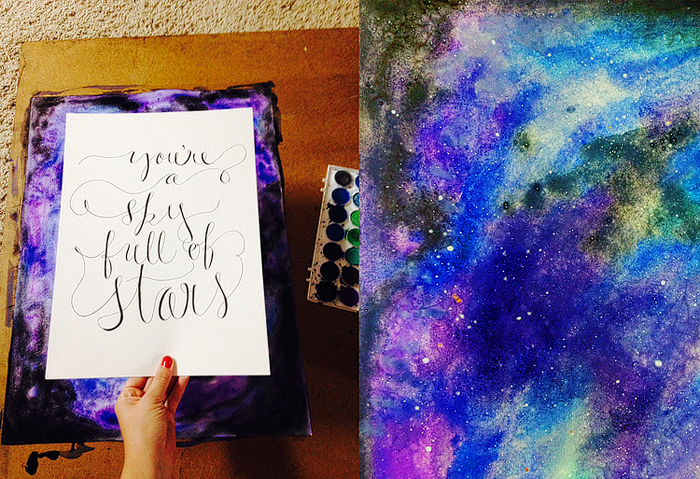 I knew when I wrote this quote that I wanted to do some sort of galaxy painting. I had a large piece of watercolor paper [18x24] that I decided to use for the matte. The original piece is 11x15. 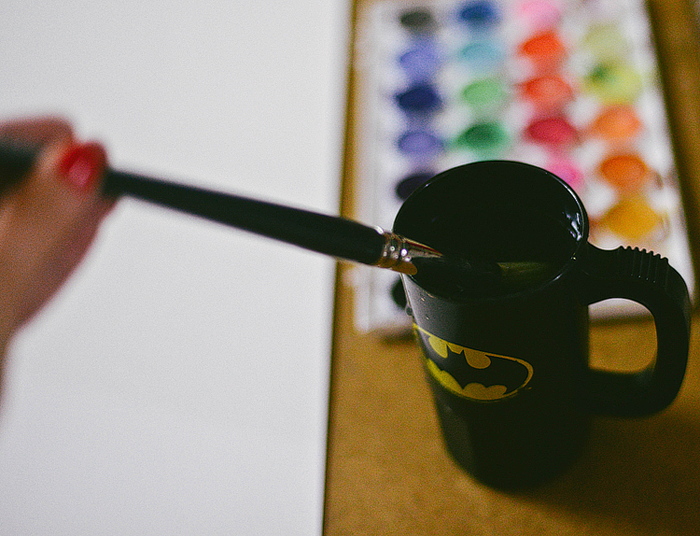 You'll want to get a lot of paint on your brush. 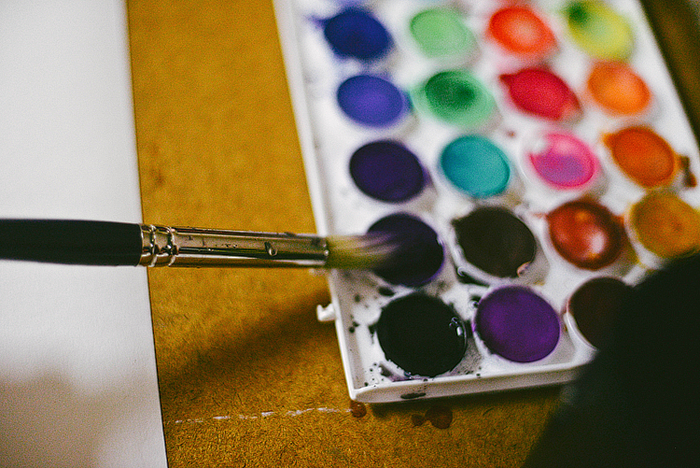 The more water you have on your brush, the less saturated your colors will be. 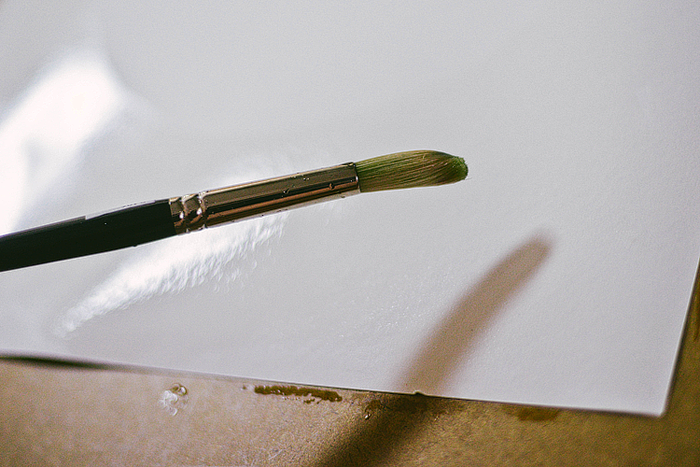 If your brush is large and holds a lot of water, you might want to get some of the water off before you try to get paint on it. 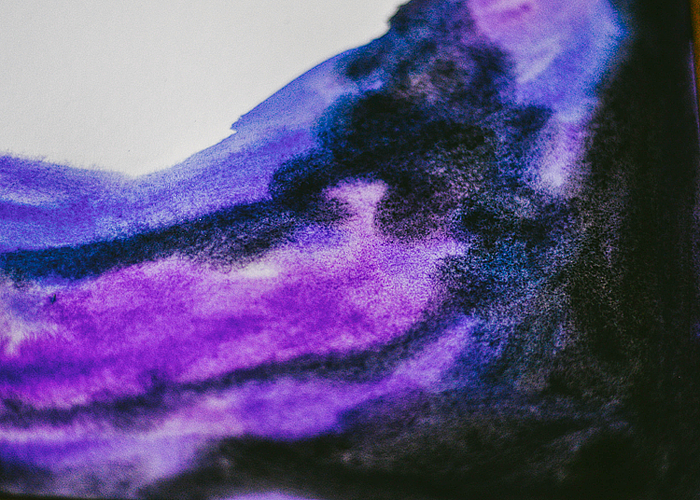 I used 2 shades of purple, blue, and black. 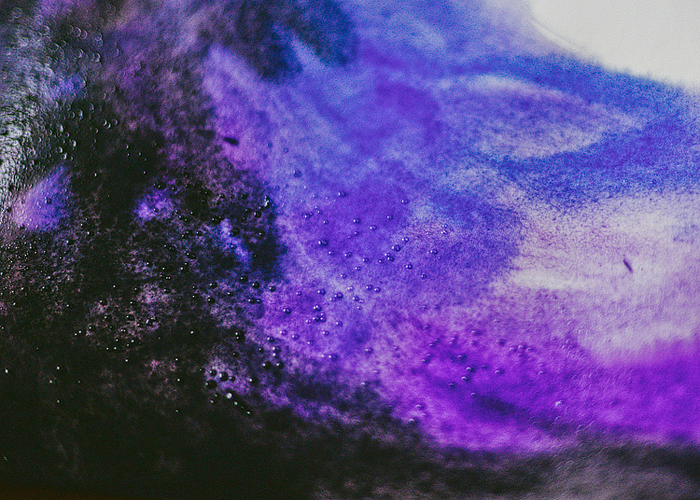 You can brush on the color, or just let it drip to make a spordtic wash. It should spread a little bit because you wet your paper. 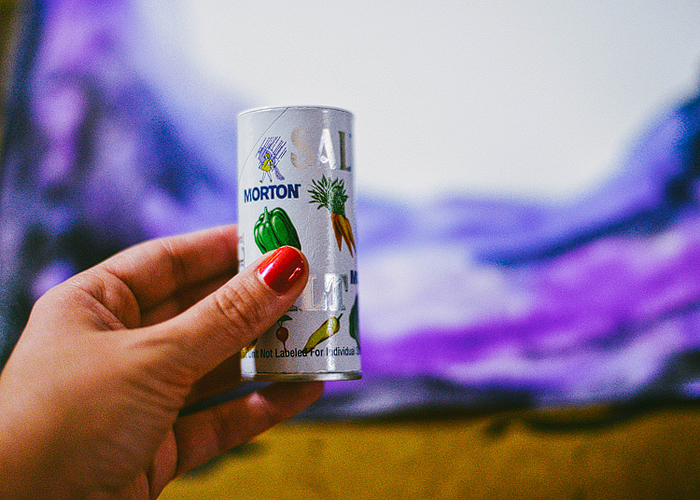 Here's an optional addition... Salt can add some fun texture to your painting. 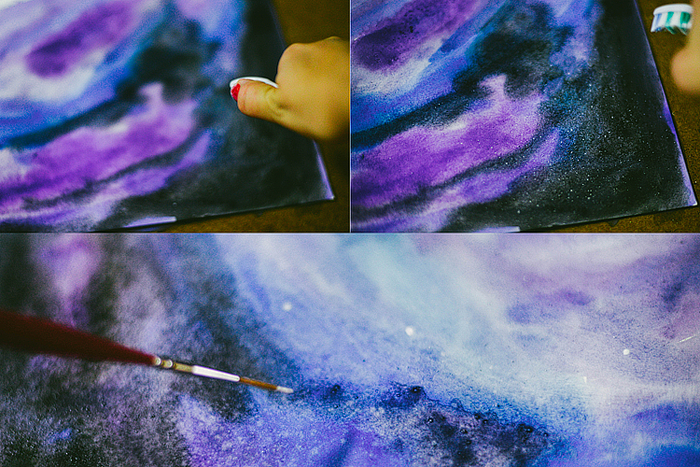 Make sure you add the salt while your paper is still wet. 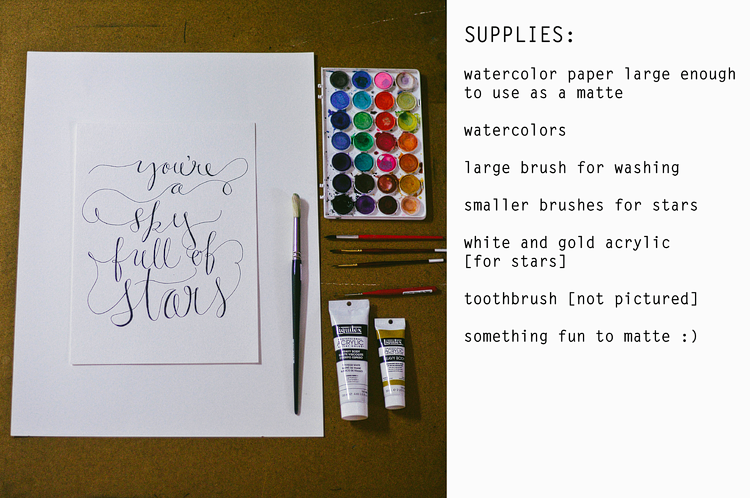 Use a tooth brush with white acrylic paint to splatter on some small stars. 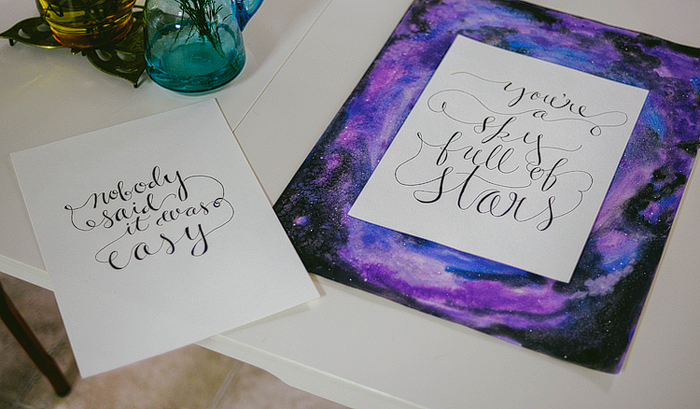 Use a pointed brush to dot on some bigger stars. I used some gold too for larger stars. 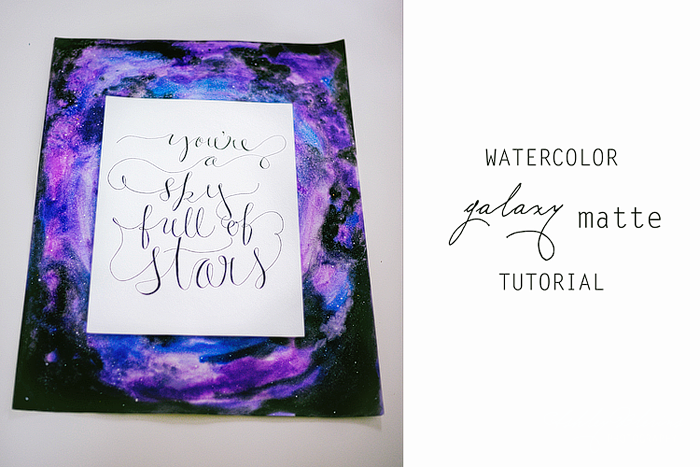 Make sure you painted enough to use for your matte! 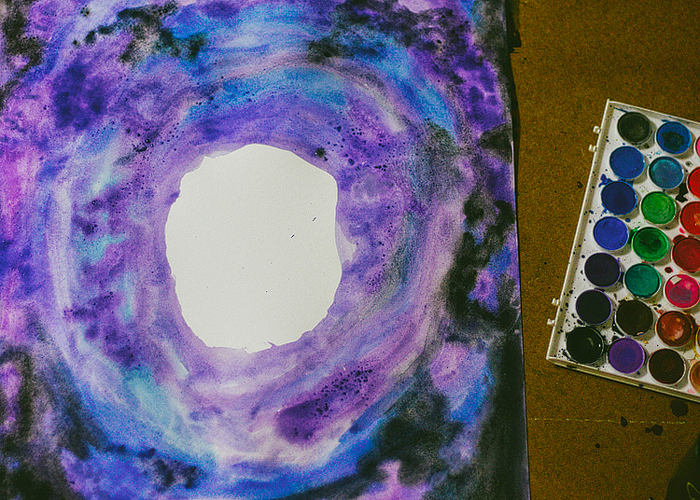 Once it's dry you can attach the pieces, frame the artwork with the matte, or just hang it somewhere. 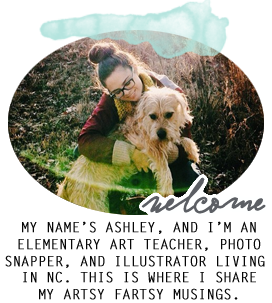 I think I'm going to display mine at an art teacher show this fall and try to sell it. Happy painting!